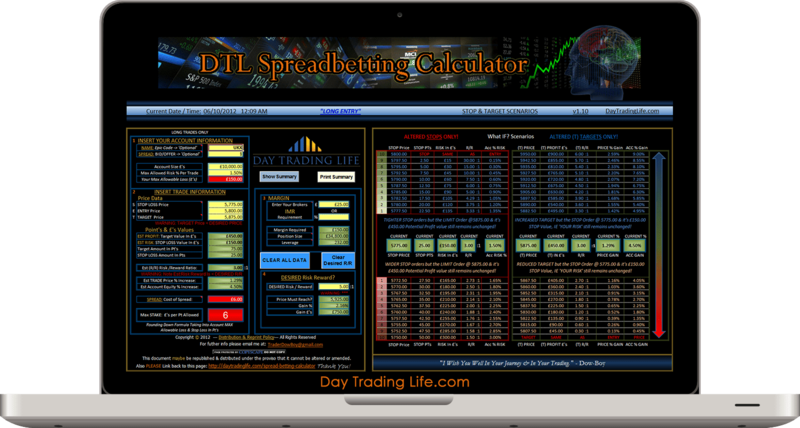 Spread Betting Calculator Spread Sheet. Downloadable FREE PDF Version. 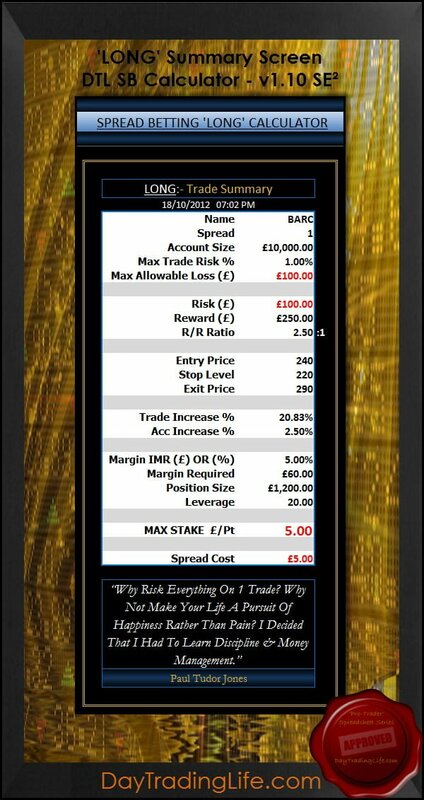 I replied in due course, but I also decided to create this page so as to offer anyone requiring an online or offline FREE ‘Position Size Calculator’ specifically for the spreadbetting marketplace; then this would be a permanent web page that could facilitate that need.spreadbetting marketplace; then this would be a permanent web page that could facilitate that need. 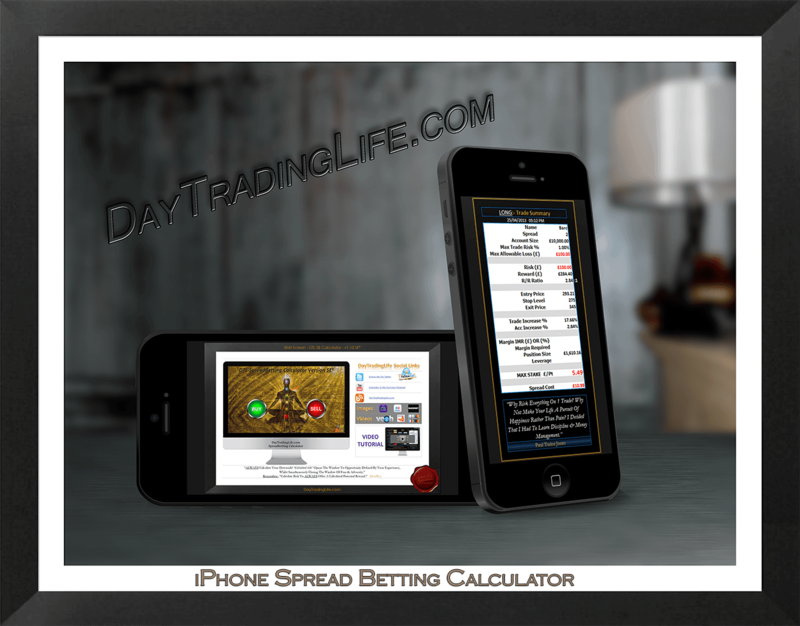 In the following I want to highlight some of the features of my ‘Online Spread Bet Calculator’ & how it can be used in various trading scenarios. Why exactly did I decide to create this ‘FREE Financial Spread Betting Calculator?’ What was my purpose behind its creation? As in life, so it is in trading. You always need a purpose; some meaning to underscore anything worthwhile you ensue to create & that must withstand the test of time. 1st of all the word ‘MAJORITY’ from my above statement needs some ‘CONTEXTUAL’ clarification. I’m about to go off on a slight tangent here; but stick with me as this ‘MAJORITY’ clarification I’m highlighting is an EXTREMELY important area that’s often misquoted within the trading community. I need to shed some light on some significant data regarding the number of day traders that do indeed trade profitably; hence clarify & quantify what this ‘Majority’ equates to statistically with some degree of accuracy. The Trading Industries ‘LORE’ purveys a figure that’s now a mainstream ASSUMPTION for individual retail traders with regards to trading profitability. This hypothesis postulates that only around 5% of speculative traders are consistently profitable. This flawed statistic abounds the internet & circulates through various media streams. This too often quoted ‘95-5;’ loss to win ratio, exemplifies that only 5% of traders hold profitable trading accounts. It always grinds on me when people are sucked into believing data that is unproven; weak in its statistical evidence; with no intrinsic due diligence attached to it. It induces a ‘Herd Following Mentality;’ prompting the less curious & questionable among us to saturate, absorb & internalize this falsehood. This leads one to concur that the instigators that promote such misrepresentations; ‘FODDER’ (to put it bluntly) have a modus operandi channeled towards ‘Mind Control;’ vexing a rather unsavoury ‘Stealth Brain Washing Policy’ onto us; a premeditated controlling & scheming technique based on the distribution & inducement of fear. So now this flawed (beyond belief) 5% media driven statistic is given a kind of CREDENCE as if it is factual; obtaining an elevated standing in the traders sea of knowledge that propounds the internet. 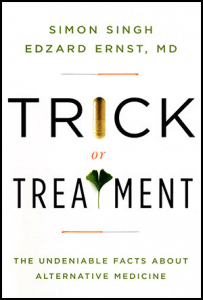 (Co-author; Edzard Ernst, the World’s first professor of complementary medicine). This resulted in the British Chiropractic Association suing Mr Singh for libel in 2008. (The case lasted for two years; which Mr Singh eventually won; & was a landmark case in the libel reform campaign). This has parallels with our total % number of losing active traders; now a mainstream topic of statistical significance which traders feverishly absorb & etch onto their hippocampus! A more valuable evidence based perspective needs referencing into the trading community; so let’s chisel one onto the WWW now, & run a scar across the face of ignorance & allow awareness & knowledge to surface from the shadows. No one has access to every trading account, & thus by definition this statistical ‘LORE’ is terribly flawed & never will be an exact truthful statistical percentage for the number of consistently profitable traders. But; we can do better, be more due diligent & with some degree of confidence get a somewhat different figure; one that has more credence & accuracy attached to it. Things might not be quite as bad as it seems for our ‘MAJORITY,’ the supposedly 95% of losing traders; this media driven statistic in circulation. This article highlights a very different statistic that requires a deeper level of investigation to gain understanding. 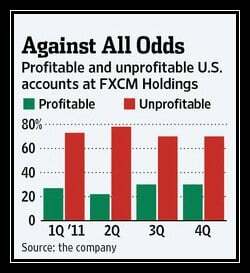 Let’s delve deeper into this eye opening statement derived from FXCM official figures; as now our 5% seems to have increased somewhat. 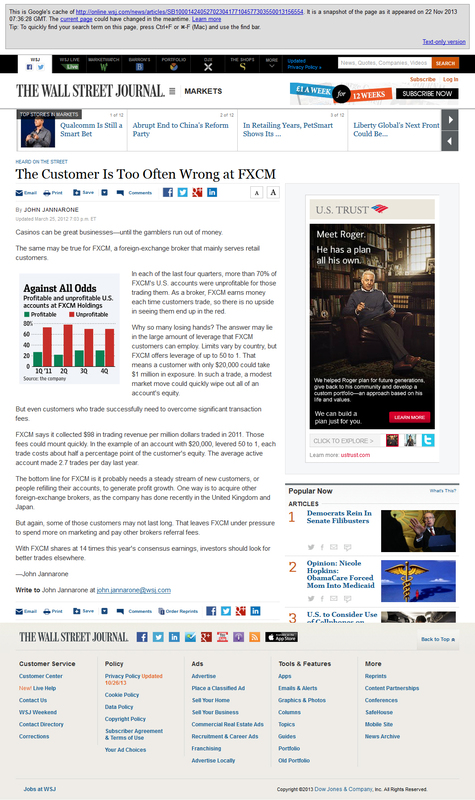 FXCM (Forex Capital Markets) is an online foreign exchange broker. Being a listed company on the NYSE (Dec 2010) it has to publish regulatory accounts for its shareholders. The 2011 annual report is the one we need to draw our attention to. Page 3 of this report (FXCM 2011 Annual Report PDF Download) illustrates a key statistic we need to take into account. As illustrated above, the sample size for number of clients to deduce the profitable percentage ratio of active traders would have presumably been taken from their total number of active clients, I.E. 163,094 active FXCM clients in 2011. The next bit of detective work we need to carry out ‘My Dear Watson,’ is FXCM’s documentary evidence; written confirmation of FXCM’s active account holders profitability %’s for clients in our year in question, I.E. 2011. This leads us to another PDF from FXCM that illustrates our sort after criterion beautifully. 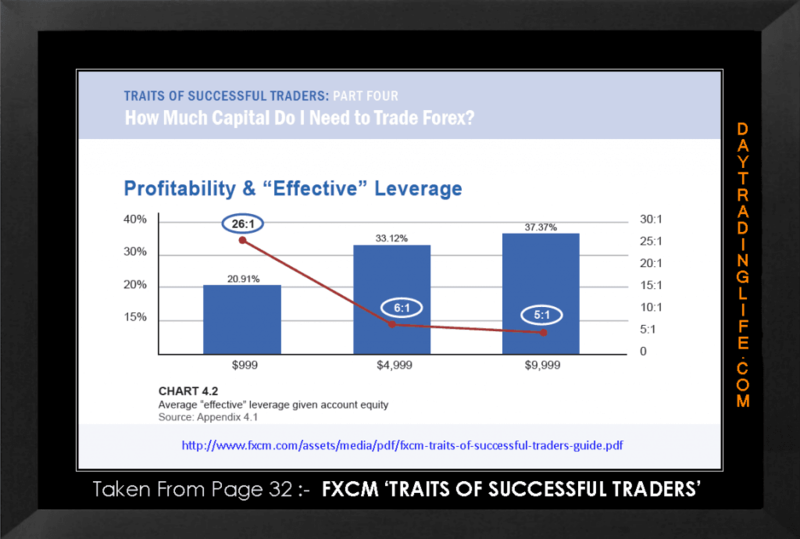 If you have some quality study time available; do take a closer look at the following PDF titled ‘fxcm-traits-of-successful-traders-guide,’ as it does hold some rather interesting & useful data that 1 could act upon. There are some very useful metrics & wonderful insights that can be deciphered from their active 2011 retail clients. 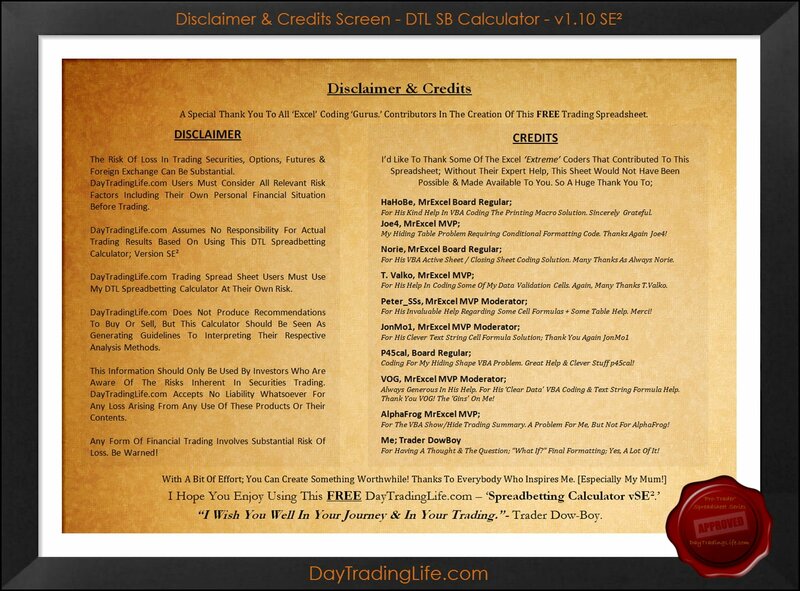 I highly recommend taking the time to read through this helpful & insightful trading PDF. Scrutinising the pages in a ‘Sherlock Holmes’ fashion we eventually get to page 32 of this 44 page guide. This is where we find our proof to strongly suggest that our age old adage that only ‘5% Of All Active Traders Are Profitable,’ is perhaps; at best; way off the mark! (& that’s putting it mildly). The above image clearly shows that 37.37% of FXCM active clients with an account capital in the $9,999 column (Actually Between $5,000-$9,999) were profitable in 2011. The ‘MAJORITY’ Of ALL Active Traders That Are Profitable IS Very Unlikely To Be 5%! The Total Number Of Active Profitable Traders As A % Of ALL Active Traders Is More PROBABLE To Lie Between 20.91% & 37.37%. These Percentages Seem To Be Dependant (To Some Degree) On The ($) Size Of The Client’s Account; Which In Turn Correlates With The Active Traders Willingness To Utilise Leverage More Conservatively The Larger His or Her Account Size Is. It took a while to get here; but don’t be misled by the 5% figure abounded out there. 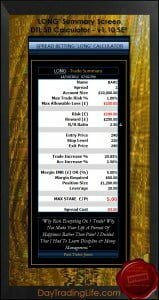 You now have increased your chances of being profitable from 5% to maybe 37.37%; if you have at least $5,000 -$9,999 of trading capital to utilize! So the ‘MAJORITY’ of active ‘unprofitable‘ traders; at best seems to be around 62.63%; NOT 95%! 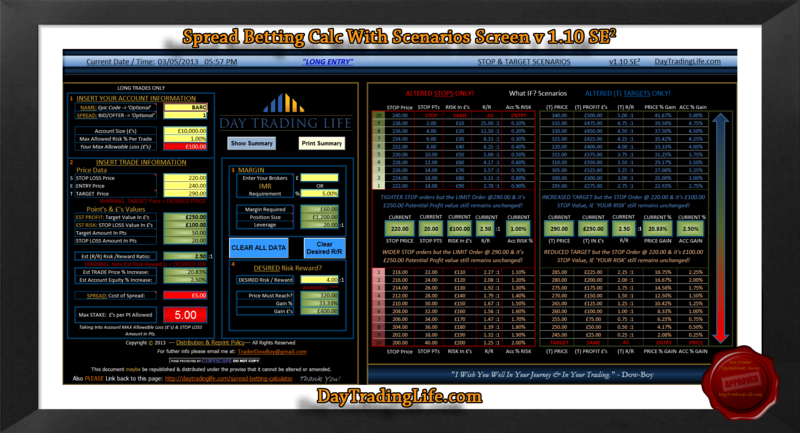 Onwards; let me now proceed to explain WHY I created my ‘Spread Betting Calc,’ & why I targeted it towards this ‘MAJORITY’ of active traders I’ve been harping on about! 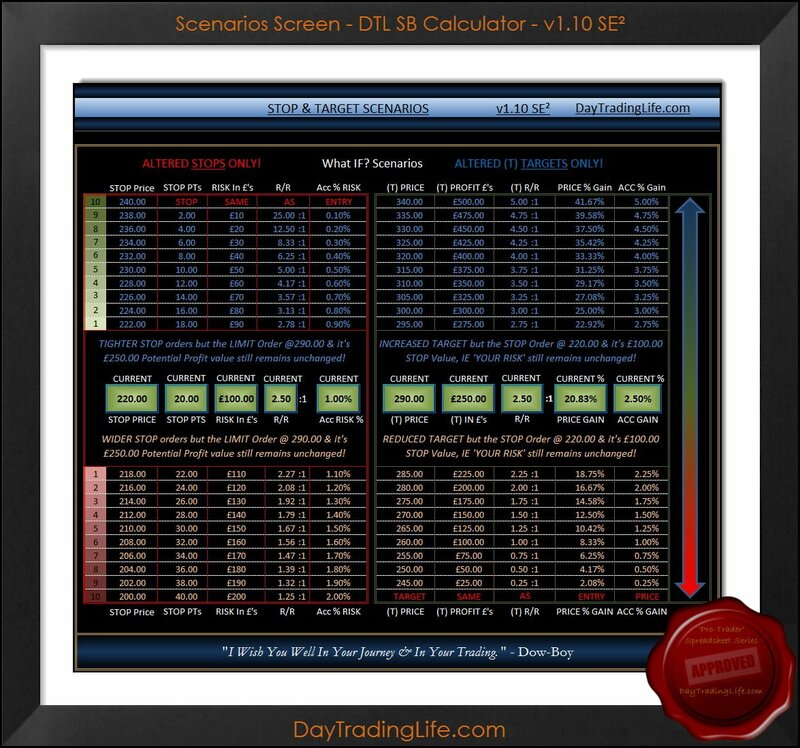 “What If Scenarios;” Inducing The Trader To Think Outside Of His or Her Conventional Rational. Encouraging ‘Comparative Modes’ Of Reasoning, So As To Induce The Trader To Use ‘Stretch Targets;’ Thus Aiming Higher; Raising Their Game; Seeking To Yield More Profitable Trades. So, from the above bullets you can see that I genuinely had a direction in how I wanted this ‘Excel Position Sizing Spread Sheet’ to turn out. 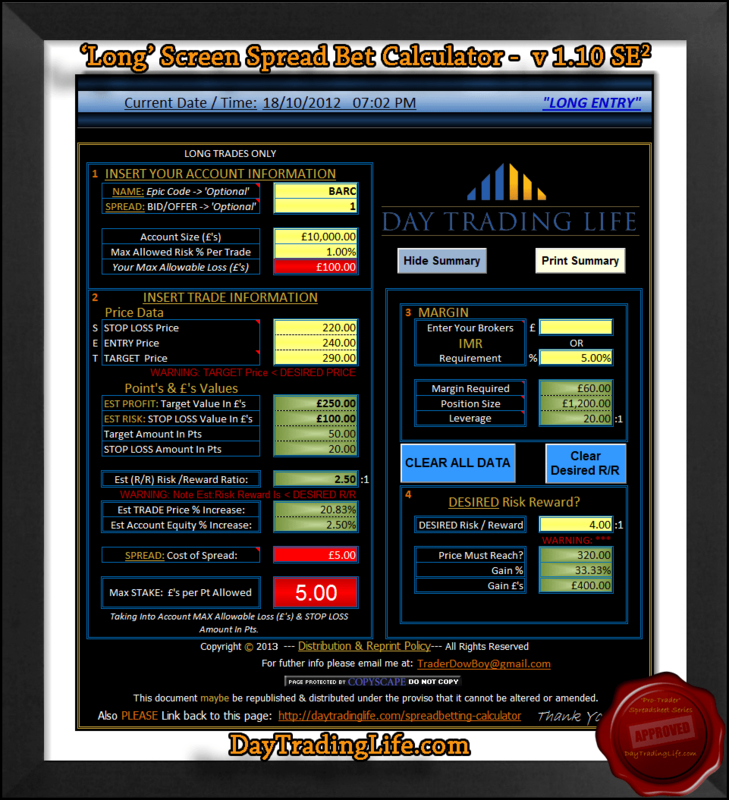 Virtually all position size calculators for the financial markets are designed for single entry positions & return ‘Position Sizing’ data that takes into account the traders ‘Initial account equity. I wanted the calculator to return NOT just what the trader ‘BELIEVES’ he or she requires in order to place the trade optimally, but to offer ‘Outside the Box’ data; data that seeks to move away from their conventional rational & towards higher levels & states of cognition. Trying to induce traders to stretch to higher levels; to think / see / do from a new perspective is a place few venture to climb. Super Traders, the elite few by definition think differently than the majority, which in turn leads them to act differently; eventually it’s a state of BEING, it’s what 1 becomes; instigated by thought alone. This isn’t a play with words here. Super Traders understand the vast MAJORITIES’ beliefs; thus where their positions lie, (usually based on fear & greed) & seek to exploit this weakness. Most traders place trades where they think the market will go, whereas Super Traders have learnt to STRETCH their beliefs & place trades not based on fear or greed, but load up with the higher belief of “Where The Market CAN Go!” They trade with fear, but use it as their ally. Traders must totally remove themselves from the old ‘Newtonian’ mind-set; the classical physics mentalities of how our World we live in works & really usher in a ‘Quantum’ philosophy & mind-set in which all possibilities can occur. So the word ‘Impossible’ must ALWAYS be furthest from the trader’s mind. 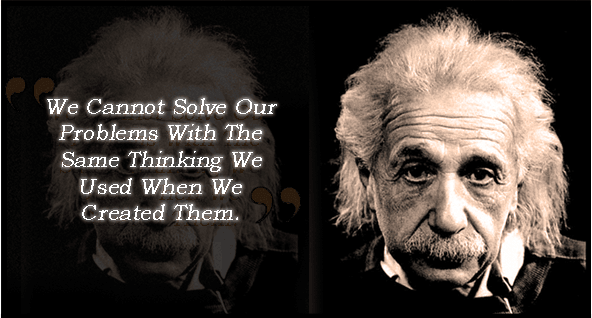 The subject of Quantum physics is an immense concoction of wonderment & awe. To elaborate here within this post is beyond the scope of this article; but it is relevant to trading & it’s a mind-set in which a trader can; (should) live his or her life. Basically it boils down to 2 sentences that really can be the ‘Game Changer,’ the ‘Aha’ moment the ‘MAJORITY’ seek; if they can 1st just ‘Empty Their Cup’ & allow possibility & potentiality to dance on their theatrical screen that plays out within their mind. These 2 sentences don’t imply; ‘THEY REVEAL’ & depict the differences in people’s approach & outlook within trading. These 2 opposing views really do affect how you can ‘See’ the World & live our lives. The consequences of taking a ‘Quantum’ leap so as to ‘Jump’ from the 1st sentence & all that it infers over to the 2nd sentence & land without ever looking to venture back is a paradigm shift of the highest order; it’s transformational in every way. 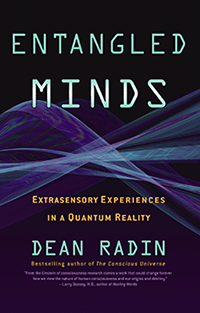 Enter Dean Radin, Ph.D. a Senior Scientist at the Institute of Noetic Sciences & a researcher & author in the field of parapsychology. 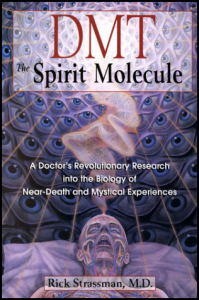 Accumulating scientific evidence from thousands of controlled lab tests; Radin debunks skeptical myths & reveals some seemingly ‘IMPOSSIBLE’ events that our physical reality concocts. You must understand that in order to improve & attain a consistent incoming of superior outcomes; NOT certainties, but probabilistic expressions of communicating ‘Entangled’ forces in the quantum field; the ‘Ether’ of consciousness itself; you have to make the leap (If you haven’t already) & be in the Quantum World of conscious awareness to trade in a ‘State’ of being commensurate with the ‘Super Trading’ way of Thinking / Feeling / Acting. This calculator seeks to push the budding enthused trader to think & act greater than their homeostasis & break into a new environment, a higher level of self that by definition can only result in a different type of potential outcome; a far cry from their standard conventional trading perspective. By illuminating a path from a darkened corner within one’s mind, so as to allow one’s ‘Neural Net’ to ‘Wire & Fire’ together in a new synaptic pattern of self, the trader is thus offered a new route in which he can ‘CHOOSE’ to venture. He can now begin to ‘THINK’ & act in new ways, differently; so now a potential exists for them to step across their imaginary self-imposed lines; their ‘Fictional’ self-limiting dogmatic beliefs & venture to higher levels of trading excellence & performance. 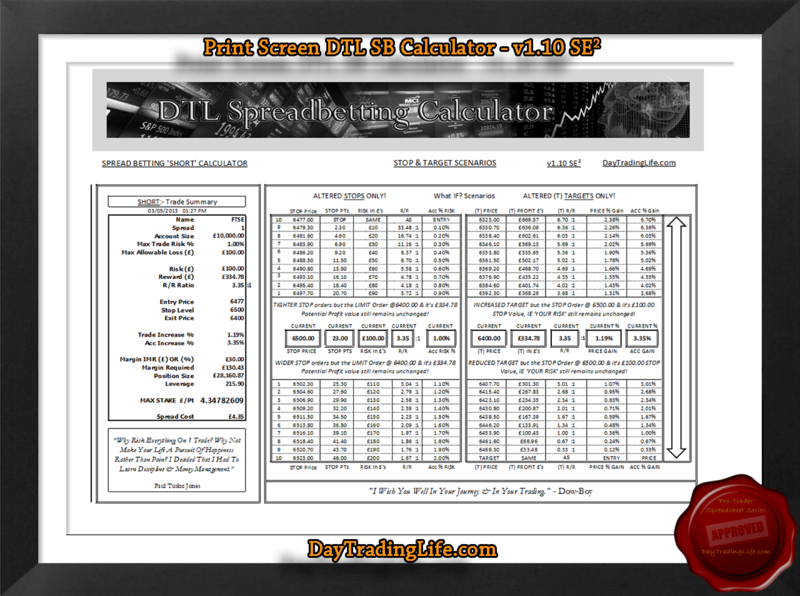 I hope You Enjoy My FREE Trading Calculator Spreadsheet Designed For Spread Betting. 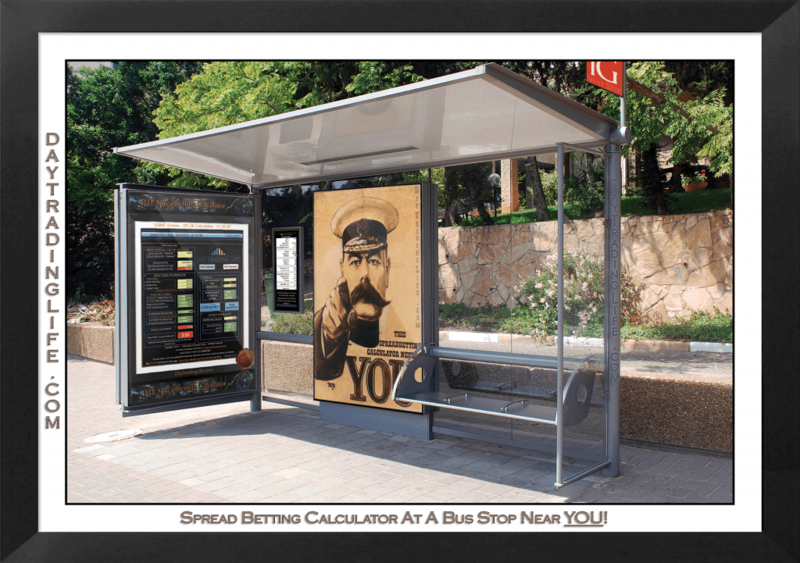 He’s a summary as to some of the benefits & features of my ‘Spread Betting Calculator, & what it can do for you. Stop Loss Amount In Pts. Being only a ‘Single Entry’ spread betting calculator holds limitations. Could this ‘Spread Bet Calculator Trading Spreadsheet’ be improved? Of course! There’s always room for improvement! Many things spring to mind. One addition could be the inclusion of a ‘Volatility Filter’ that would offer a margin of variability; allowing (to some degree) for the markets’ natural fluctuations; its harmonic signature in rhythm & rhyme. This would create targets that could adjust & ‘breathe’ within pre-chosen variables; a ‘Diaphragm’ designed to expand & contract in tandem to the beating heart of the market. This could be ‘Tweaked’ by the simple addition of some ‘Average True Range’ cells to manipulate & play with the data. Maybe in time I might upload a ‘Multiple Entry’ Spread Betting Calculator. This then opens up a whole new World where permutations & decision theory flourish. Options to ‘Take Partial Profits,’ ‘Average In,’ ‘Average Down’ & ‘Load Up’ for the big trending plays can only come from a ‘Multiple Entry’ trading perspective. 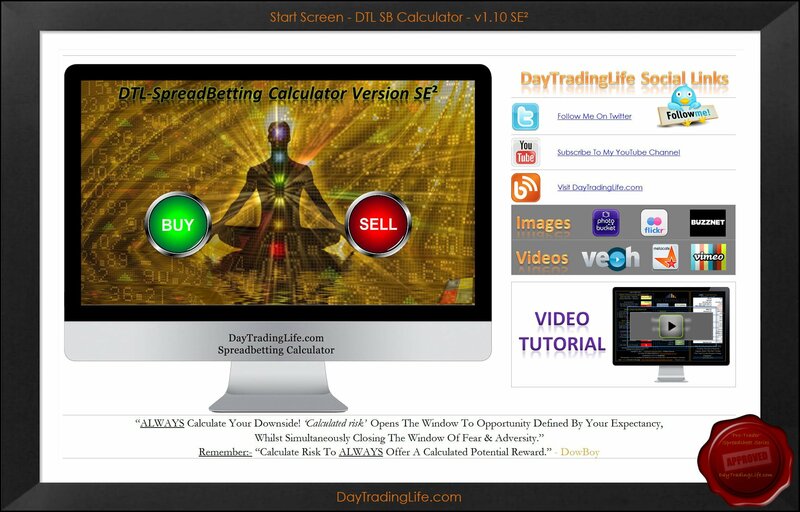 Download this trading calculator & let your mind play with the numbers. Experiment; ‘future orientate’ yourself & picture the ‘What If’ scenarios as if you are in the thick of battle; within the ‘Present’ moment. Compare these hypothetical potential outcome plays with how your ‘Normal’ way of managing trades & targeting exit points would ‘Normally’ be. Can you stretch? Can you allow yourself to push that bit further; expand & increase your goals, raise your bar so as to create a new standard, a new ‘Base-Line,’ that CAN become your new ‘Constant’ you can now ‘Deem & Dare’ to trade from. To overcome limiting beliefs, targets that you prematurely close out on; orchestrated via the thorn of emotional unbalance; dispatched by the ever present ninja assassin, the mercenary ‘Ego;’ you must have belief in yourself that’s leveraged by your competence, the underpinning & your kingpin to overcoming EGO; that of CONFIDENCE. It’s confidence that truly overcomes fear. Administrating your confidence to ‘stretch’ to new targets can be greatly developed via mental rehearsal. 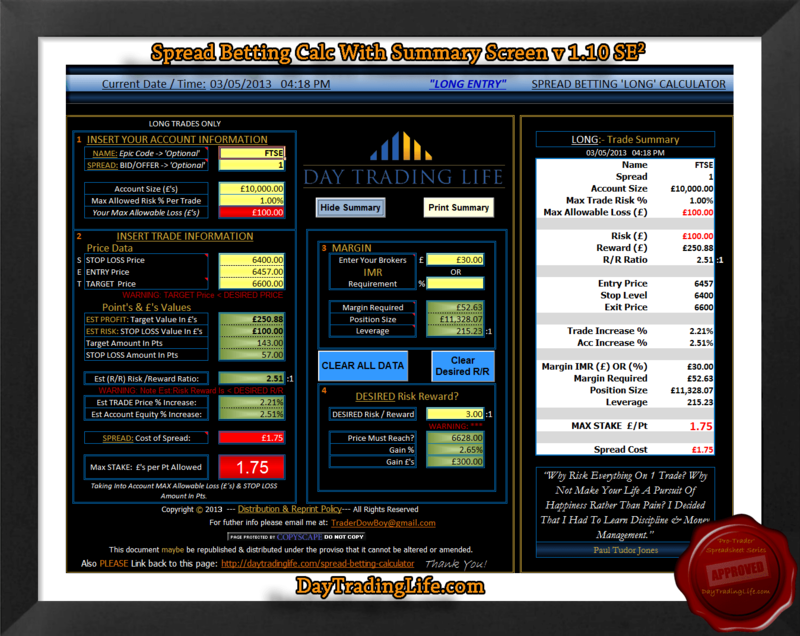 Immerse yourself & engage with the trading calculator’s numbers it generates fully! With every new ‘breakthrough’ you make; a position you 1st envision then actualise so as to take on trades that ‘Were’ outside of your habitual ‘Comfort Zone;’ you’ll break into higher realms of prefecture. This is a stab straight through the ‘Assassin’s’ heart. You’ll peel away layer by layer the emotional film cast over you & start to realise INTRINSICALLY that ‘Super Trading’ is ‘Totally’ within your grasp; as YOU are above EGO & FEAR. You are not your body. Ego is not part of you. You are the ‘Witness’ to all your thoughts & feelings. If you can just come to terms & ingrain this FACT in your mind. Consciously store this knowledge at the forefront of your ‘Long-Term Memory.’ Having a constant awareness that YOU are the WITNESS; the CONTROLLER that sits on the summit, elevated above all. The custodian & coordinator of ‘Every’ thought & feeling you’ve ever had & will have is the most powerful & potent force of all living entities. Being capable of regulating any thought or feeling via this detached perspective, the ‘WITNESS’ that IS the REAL YOU; you realise that you can ‘Become’ & trade in a way you desire & seek. For the art in BEING is a ‘State’ driven affair. There are those that want to ‘BE’ something and those that want to ‘DO’ something. So DO the numbers so you can BE! Paradoxically BEING always precedes DOING, as BEING (As mentioned above) is purely a ‘State of Mind.’ You need to ‘BE’ in the correct state to ‘DO;’ actions commensurate with that state. “Trading Need Not Be A Pursuit Underwritten By Fear. Trade With The Pure YOU, As The WITNESS; A Detachment From EGO. It’s now time to say farewell to this post. 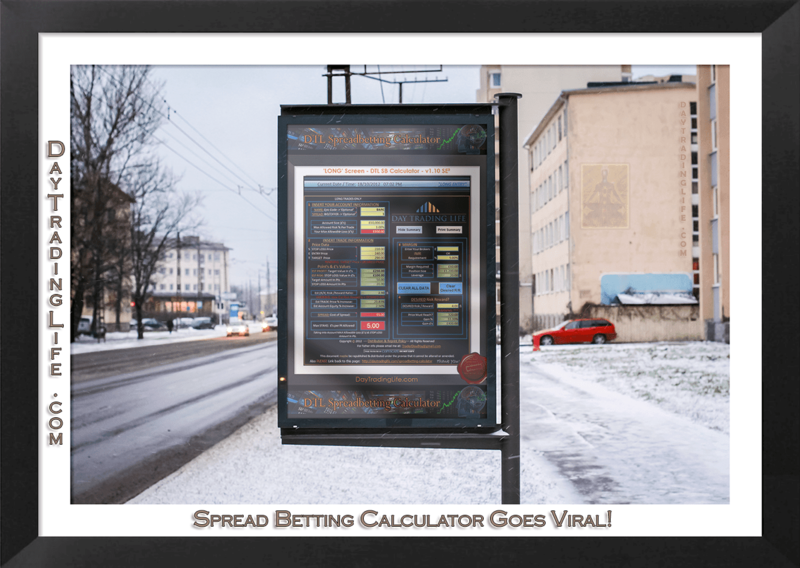 I hope you can use this ‘Spread Betting Calculator’ to place yourself inside the numbers it generates & view from your MIND’s eye ruled by your beating heart. The numerical scenarios that reveal themselves can become the new rhythmic pattern for your heart; your ‘Trading Ticker’ to attune to; thus initiating the creation of new ’networks’ in thought & fresh ’Patterns’ of behaviours to occur. 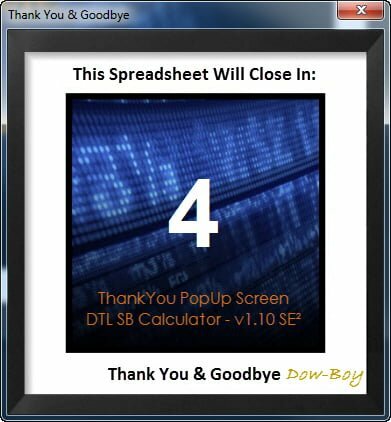 This FREE Trading Spreadsheet isn’t password protected; so use this as a starting point & maybe try & create your own ‘Spread Betting Calculator’ that’s tailored for you. This post must have take you a long time to produce, top qualityI must say! I’ll be using you Spread Betting Calculator from now on.